The seasons are officially changing! You can feel it in the air… We are excited to announce what’s on and upcoming for Realwheels in OUR new season! Realwheels is thrilled to produce SEQUENCE by Arun Lakra as part of Presentation House Theatre‘s 2017-18 season. SEQUENCE is an extraordinary piece of Canadian playwriting that explores questions of determinism vs. free will via two stories that interweave like a strand of DNA. Get ready for razor sharp, cerebral dialogue and an edge-of-your-seat story! We welcome submissions from outside of Vancouver. One of Canada’s celebrated playwrights, Janet Munsil, is currently writing ACT OF FAITH for Realwheels’ 2018-19 season. Inspired by a story that baffles the medical/scientific community, arouses conflicting emotions in the disability community, and is celebrated by the religious community to which ‘Faith’ belongs, we guarantee you’ll be jazzed and challenged by ACT OF FAITH’s subject matter, and excited by the unique theatrical vocabulary we’re developing for production. CLICK HERE to view a short video capturing the residency held at The Cultch this past July. 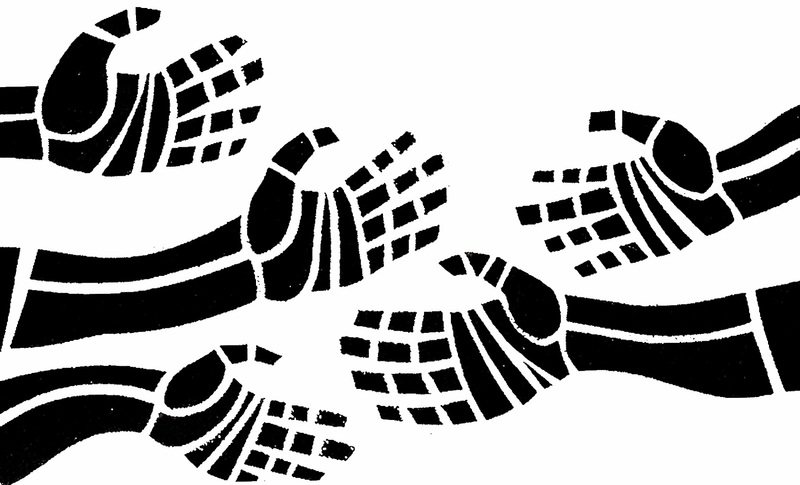 Our next community-based Wheel Voices project is WHEEL VOICES POWER PLAY. WHEEL VOICES POWER PLAY is rooted in our eagerness to scrutinize and challenge questions of identity and marginalization. With a group of 12-18 community participants, we’ll be offering a six (6) day intensive, applying Augusto Boal’s Theatre of the Oppressed methodology, and culminating in a public presentation. Special guest Tom Scholte will facilitate. Community round tables / info sessions will be scheduled for spring 2018, followed by a two-hour “Rainbow of Desire” introductory workshop. The six-day intensive will follow. We’re committed to creating a healthy, safe environment. WHEEL VOICES POWER PLAY is open to anyone who self-identifies with disability. No theatre experience necessary. Workshop is fully subsidized and is offered free of charge. Space is limited. Please contact info@realwheels.ca if you would like to participate, or attend an info session. We proudly announce the completion of Phase 1 of our Cultural Infrastructure Project. 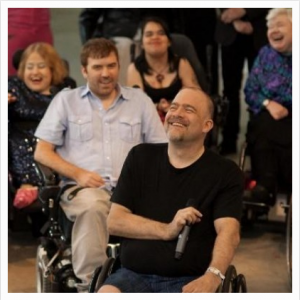 Realwheels partnered with Kickstart Disability Arts and Culture and the Social Planning and Research Council of BC (SPARC BC) to address the limited number of theatre venues that are truly and fully accessible for artists/performers, theatre technicians, and patrons with disabilities. Throughout the spring and fall of 2016, SPARC BC conducted a Needs Assessment of Accessible Performance Spaces in the City of Vancouver, which included a review of leading practices and feedback from the broader community. We asked: What is currently working well? What are the gaps and challenges in regards to accessible theatre venues? We created an accessibility audit checklist, after which our multi-disability audit team undertook a thorough audit of one theatre venue. Below is the final report, which encapsulates our findings and includes the accessibility audit checklist, along with the details of our audit of the Firehall Arts Centre. The long-term goal of this project is to increase accessibility at theatre venues for artists, technical staff, and patrons with disabilities. We invite you to read this report and most importantly to use it, share it and open up dialogue around issues of accessibility in our city. We gratefully acknowledge the funding support of the City of Vancouver and Canada Council for the Arts. Want to find out what Realwheels has been up to this past year? Join us on December 3rd! (1) The society shall have two classes of members: legacy members and general members. (2) Any member of the society who was a member before January 1, 2015, and whose membership has not ceased under Bylaw 8, 9, or 10 is a legacy member. (3) Any member of the society who is not a legacy member is a general member. MOTION to renumber Bylaws 6 through 10 as Bylaws 7 through 11. (1) The amount of the first annual membership dues must be determined by the directors. (2) Legacy members must not be charged membership dues. (3)The annual membership dues of general members may be set by the directors at least two months before any annual general meeting, and are effective from the date of that annual general meeting until changed by the directors or by resolution of the membership. (4)The directors may exempt any general member from payment of annual membership dues on the recommendation of a director or officer of the society. MOTION to renumber Bylaws 10 (1) through 61 as Bylaws 12 through 63. On being admitted to membership, each membership is entitled to, and, upon request, the society must give the member without charge, a copy of the constitution and bylaws of the society. Attending a Realwheels AGM is a great way to show that you value the arts in BC! Realwheels’ production of Whose Life is it Anyway? has been nominated for six Jessie awards, including Outstanding Production! The nominations for the 32nd annual Jessie Richardson Theatre Awards were announced last night at the Vancouver TheatreSports League Improv Centre on Granville Island. Congratulations to the entire company of Whose Life is it Anyway? We are SO proud of and grateful to EVERYONE who contributed their talents, expertise, and love to this project. We also congratulate our fellow nominees in the Small Theatre category. So much theatre talent to celebrate in our city! It was Realwheels Founding Artistic Director James Sanders’ longtime goal to produce Whose Life is it Anyway? 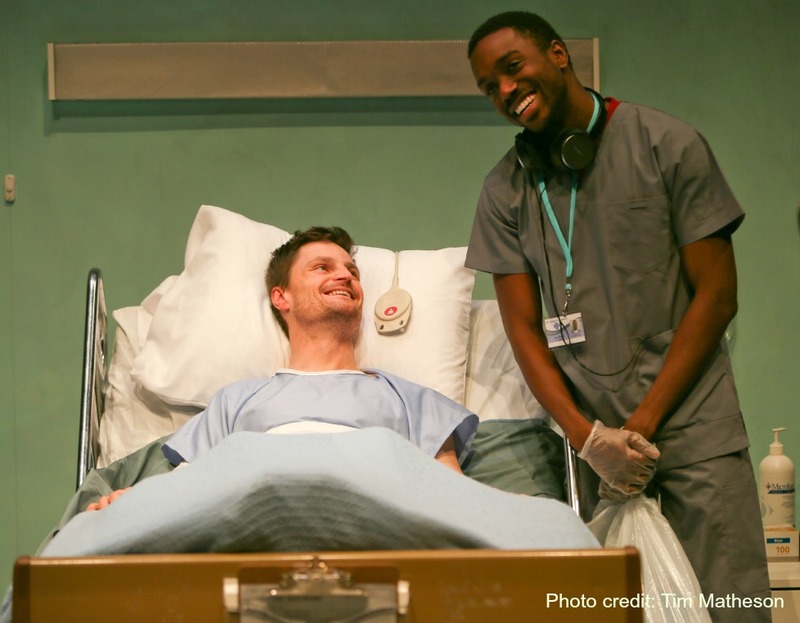 Although medical issues prevented James from playing the lead role, his vision and his ongoing commitment to deepening audiences’ understanding of the disability experience informed this production every step along the way. Final awards will be handed out June 23 at the Commodore Ballroom. Click here to view the complete list of nominees and congratulations to all! Filed Under: The Spin Tagged With: James Sanders, Jessie Richardson, Jessies, nomination, Realwheels, Small Theatre, theatre, Vancouver, Whose Life Is It Anyway?